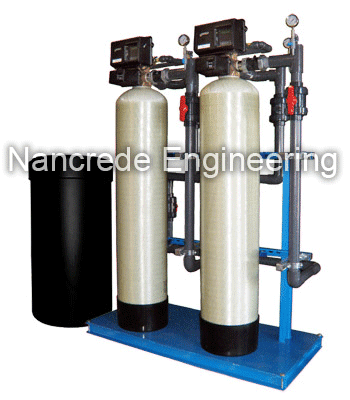 Designed for a wide range of commercial softener applications. Individual tank capacity ranges from 15,000 grain to 1,200,000 grain with continuous flow rates of 1-215 GPM. Tank diameters up to 42″ and service pipe connections up to 3″ NPT are available. Single tank, multi-tank parallel, twin alternating, and triple alternating systems are available with a wide variety of timer and water meter controllers. Commercial Softener Grade Fiberglass reinforced polyester (FRP) pressure vessels for 150 psi working pressure.